If you want to visit the Galapagos Islands, there is no doubt (in my mind anyway! 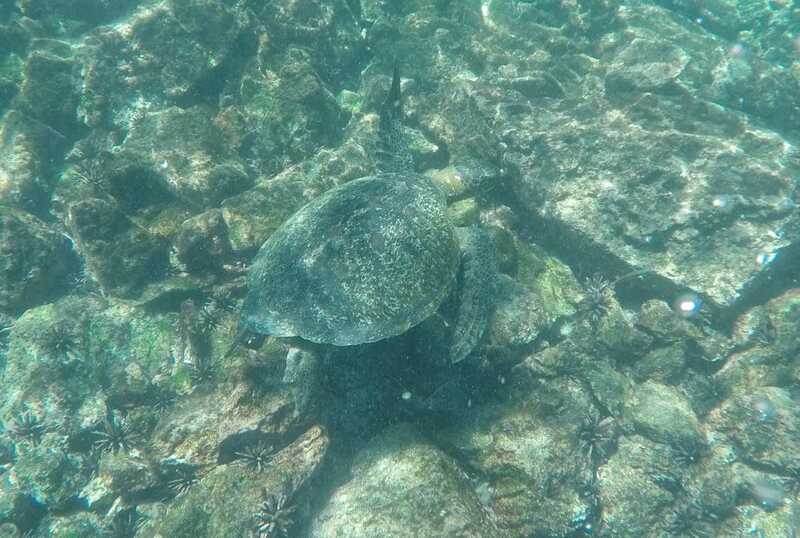 ), that a Galapagos Cruise is the way to go. 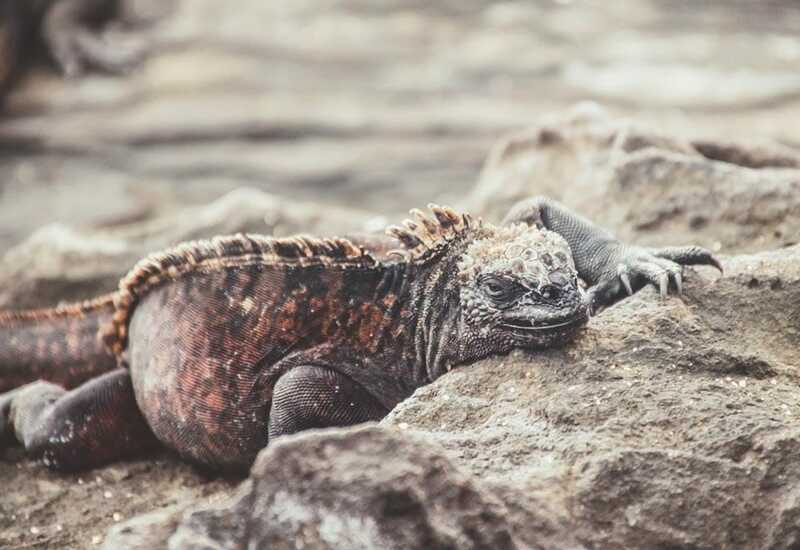 A Galapagos land vacation is possible, but it has its limitations…and with a bucket list destination like the Galapagos Islands, every minute of your time in the archipelago should be maximized because there’s so much to discover! 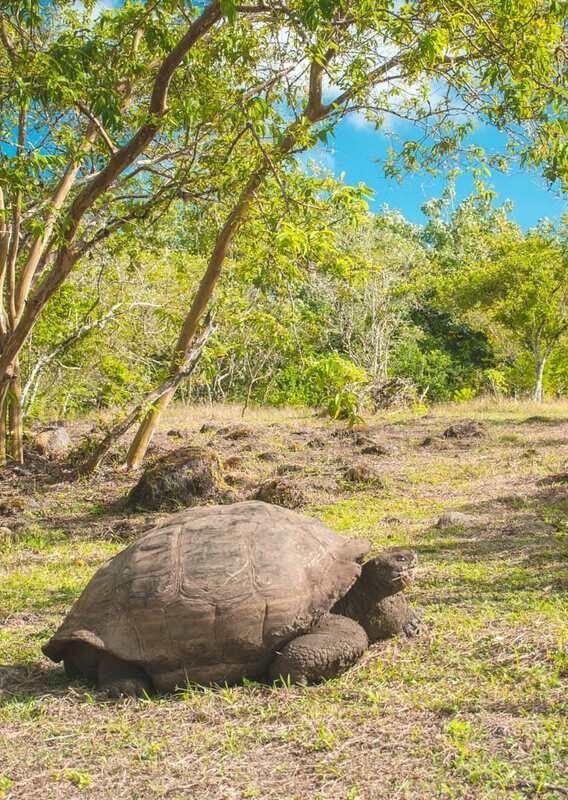 The big drawback of a land-based tour of the Galapagos is that you will only be able to visit islands that are accessible via a day trip from Santa Cruz, San Cristobal, or Isabela. You’ll also have to take into account the time it takes to get back and forth to your hotel each day, or continuously move accommodations— neither is an attractive option when you consider the convenience of a Galapagos cruise, and all the amenities that come along with it! 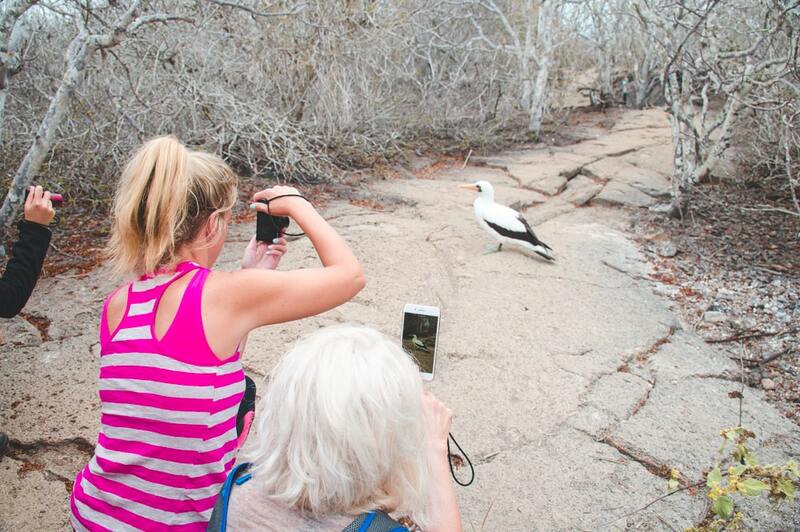 Something you should note, whether you choose to take a cruise or DIY on a land-based trip with day tours, is that you must be accompanied by an authorized naturalist guide while visiting protected areas within the Galapagos National Park. Before my trip to the Galapagos, I didn’t understand the scope of what this meant. But to put it into perspective, 97% of islands that make up the Galapagos are part of the protected National Park. The remaining 3% is inhabited. This ratio makes it easy to see how essential it is to travel with tour operators and vessels authorized to work in the protected areas of Galapagos. 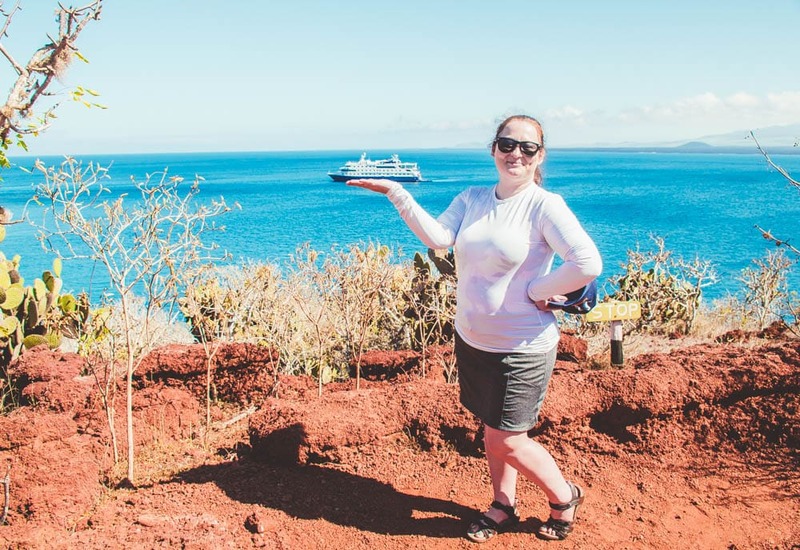 Galapagos Cruise: Small Boat or Big Ship? 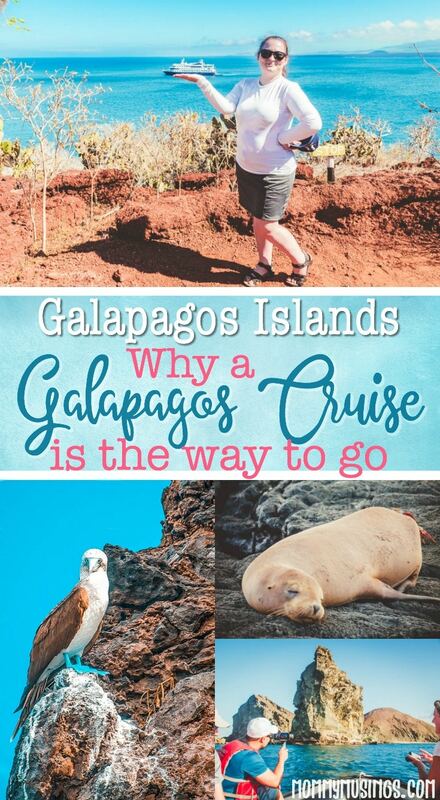 Cruising the Galapagos Islands is not like ocean cruising. The biggest ship you’ll find in the area has 100 passengers. So even a big ship isn’t really that big. 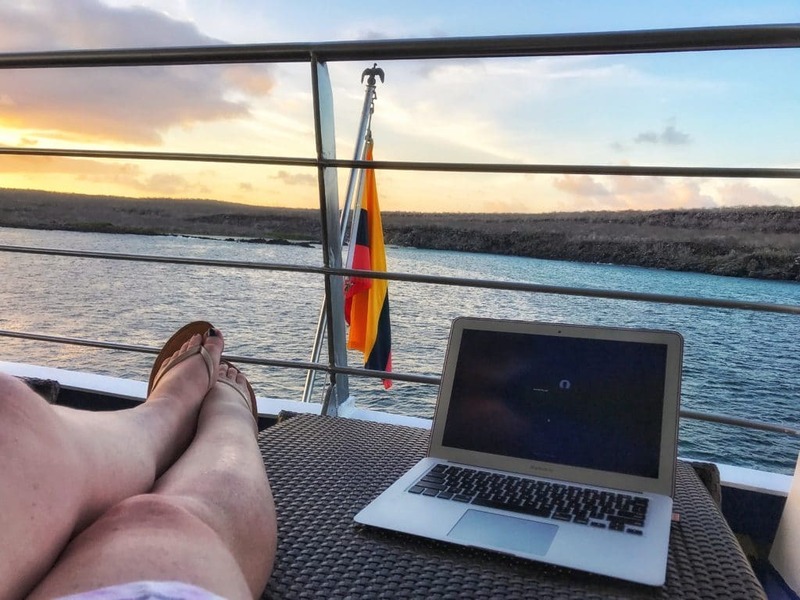 I know that when you’re researching Galapagos cruises that you’re going to come across a lot of posts that say a small boat or yacht is best because it feels more private. I completely understand the attraction to small group cruising. It wasn’t until I sailed on the Santa Cruz II, a 90-passenger ship, that I realized the benefits of being on a larger vessel. Group sizes are the same or smaller than a small ship – Per Galapagos National Park rules, each naturalist guide can have no more than 16 to a group. If you’re on a small boat with 16 people or less, you’re all going to be in the same group. If some of your group speaks Spanish and the rest speak English, the guide will have to translate which can take valuable time. Personal interests are also not accounted for. On a larger ship, your group size is usually an average of 12 guests. This ensures you and your party will be placed in a group with passengers who speak the same language and have the same activity level. The expedition leader on the Santa Cruz II went out of his way make sure every guest was comfortable in their touring group. I truly enjoyed spending time with every person in my group because we were all active passengers who wanted to maximize our time on land and in the water. Had I been in a group with guests who wanted to take things slow, I might have missed out on some of my favorite experiences in the Galapagos. Additionally, you can break up into different groups throughout the cruise based on excursions you choose to participate in. 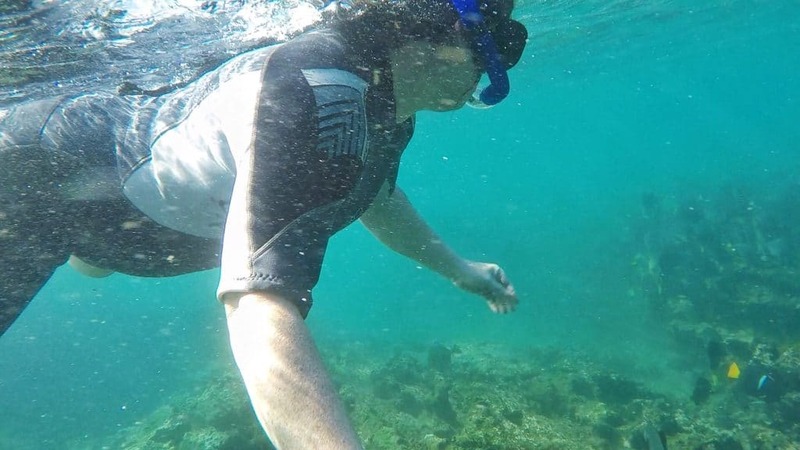 I snorkeled every day of my Galapagos cruise and was able to do so because the ship was large enough to have multiple groups going out on different activities at the same time. I could choose my own adventure and not have to worry about other passengers and what they wanted to see or do. 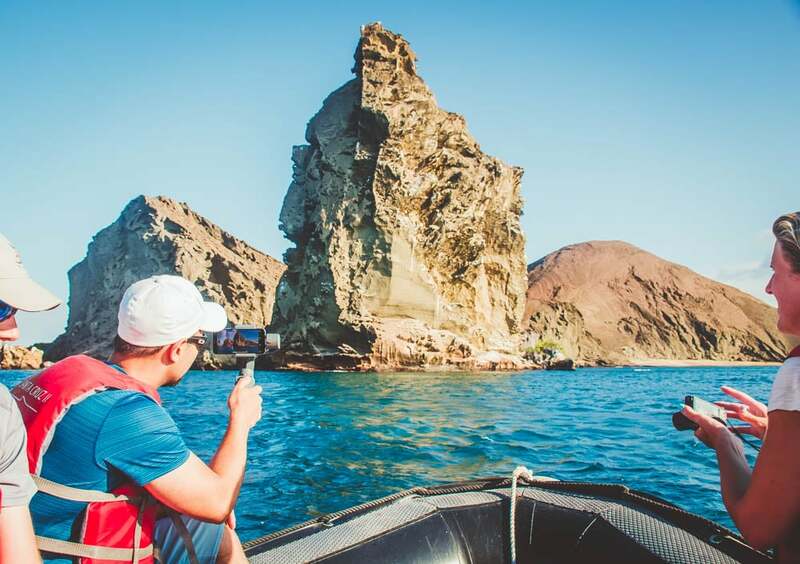 On a Galapagos cruise, more passengers mean more naturalist guides—ultimately this equals more activities and time for snorkeling, kayaking, stand-up paddle boarding or rides in a glass-bottom boat. I guarantee you won’t find all of these options on a small boat or yacht. 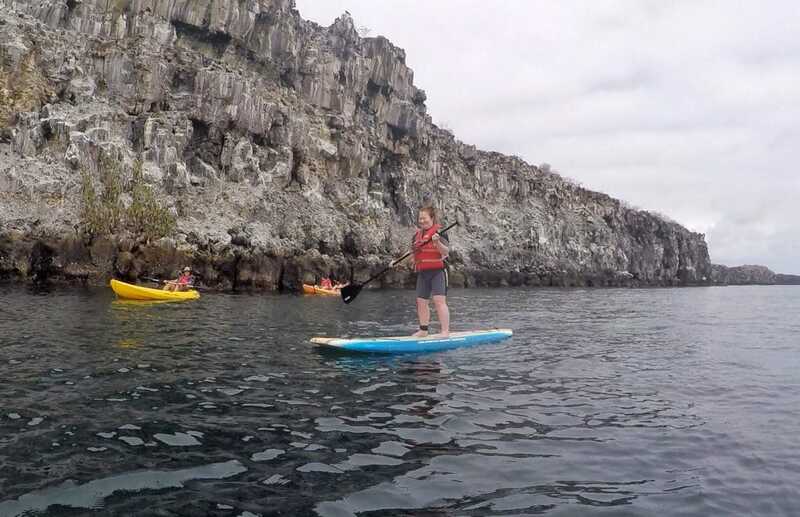 My first time stand-up paddleboading was in the Galapagos – it was an incredible experience! Larger cabins with more amenities – I’m in the mindset that if you’re going to take a bucket list trip to the Galapagos that you need to go big or go home. 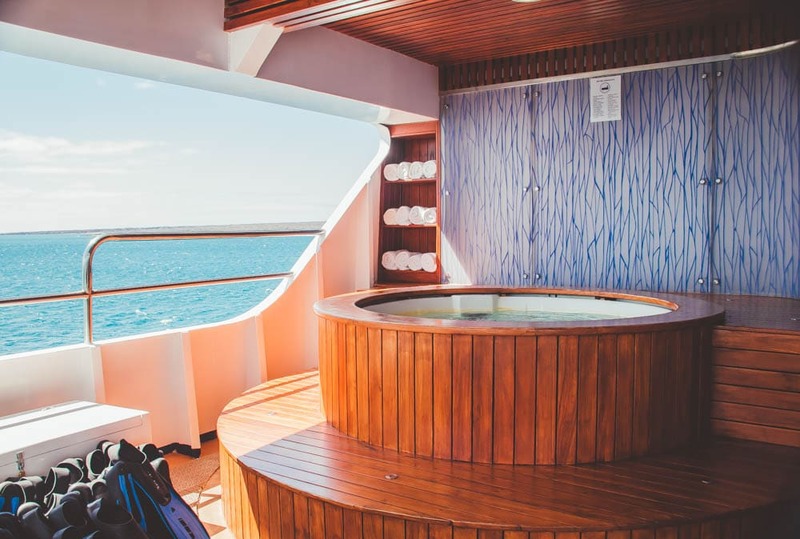 On a larger luxury vessel, you’ll have access to amenities that aren’t possible on a small boat. From complimentary access to a dryer to a full bar that opens to stunning views on the back of the ship, it’s the little details that make a vacation extraordinary. I’ll never forget having a vodka and tonic with fresh muddled fruit and herbs at happy hour on the evening we left Bartolomé Island. The combination of watching the sunset with new friends in an otherworldly locale will always stay with me. You’ll also have more cabin options on a larger ship. This really comes into play when traveling with a family. Suites, connecting rooms, and single beds are available in addition to standard double cabins on the Santa Cruz II. 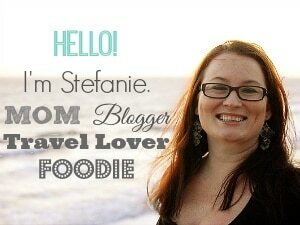 This gives families and groups traveling together more flexibility. Stability – Expedition vessels like the Santa Cruz II are designed to navigate the tropical waters of the Galapagos. If you’re prone to seasickness, it would be to your advantage to take a Galapagos cruise on a larger, more stable ship. 24/7 medical doctor on-board – The benefit here speaks for itself. 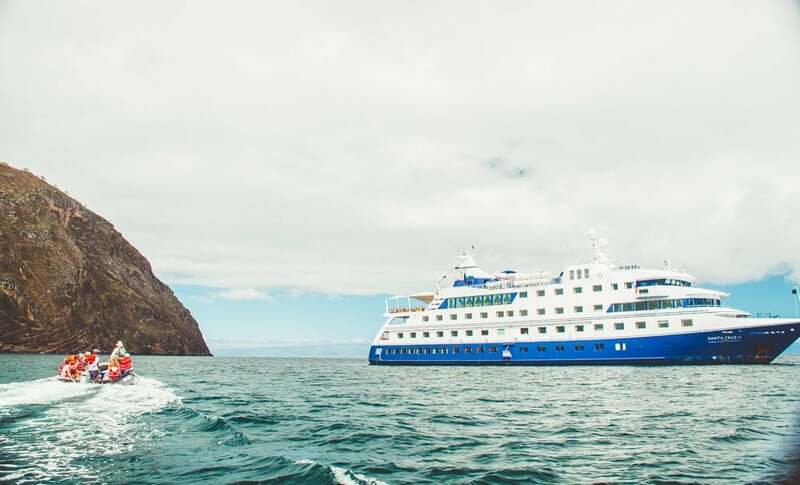 When it comes to selecting a cruise company for your Galapagos expedition cruise, it’s essential to go with an established company that knows the archipelago and has the best routes with the most knowledgeable naturalist guides. Metropolitan Touring, the company that owns and operates the Santa Cruz II, was the first organized tour business in the Galapagos Islands— they’ve been offering cruise tours since 1969 and helped Galapagos National Park authorities set the rules for tourism that are still enforced today! 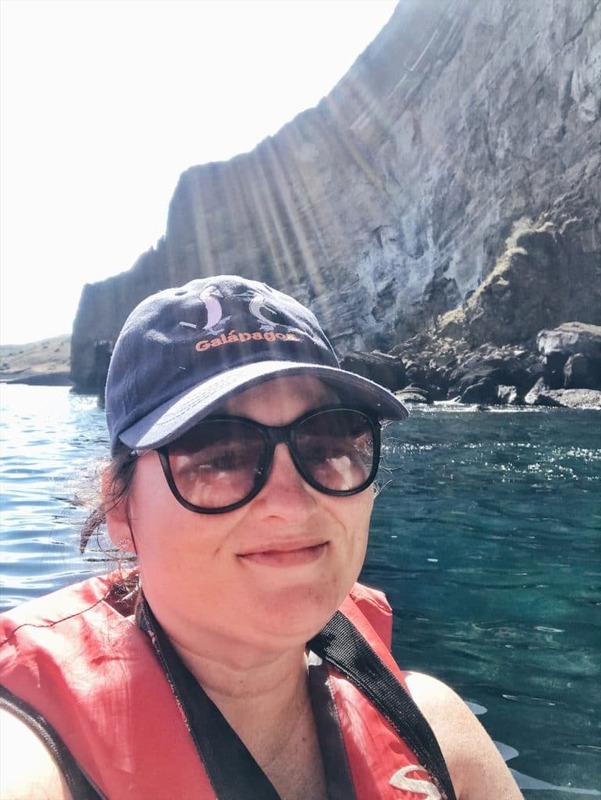 I mentioned the best routes, and that’s an important detail that you’ll want to consider when booking a Galapagos cruise. 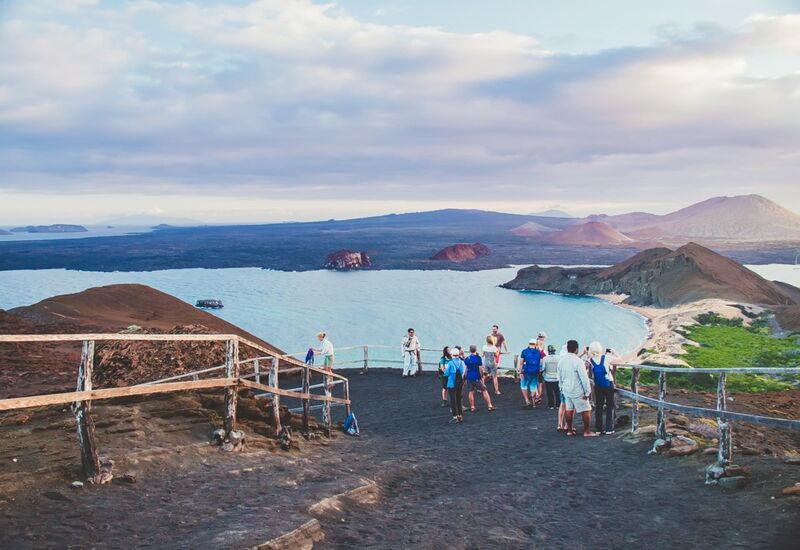 Cruise tour companies in the Galapagos are required to have their itineraries approved by the National Park Service a year in advance. Per regulations, which were set up to help ensure conservation, Galapagos cruise ships cannot visit the same island within a two-week span. This is why you can book back to back 5-7 day Galapagos cruises and not repeat the same island or itinerary. 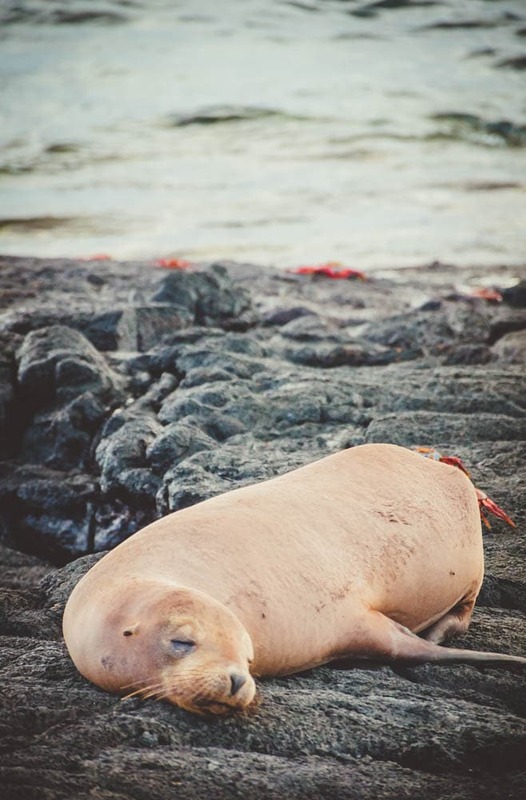 The Galapagos itinerary is important because it can dictate which wildlife you encounter on your expedition. Some animals can only be found on specific islands. 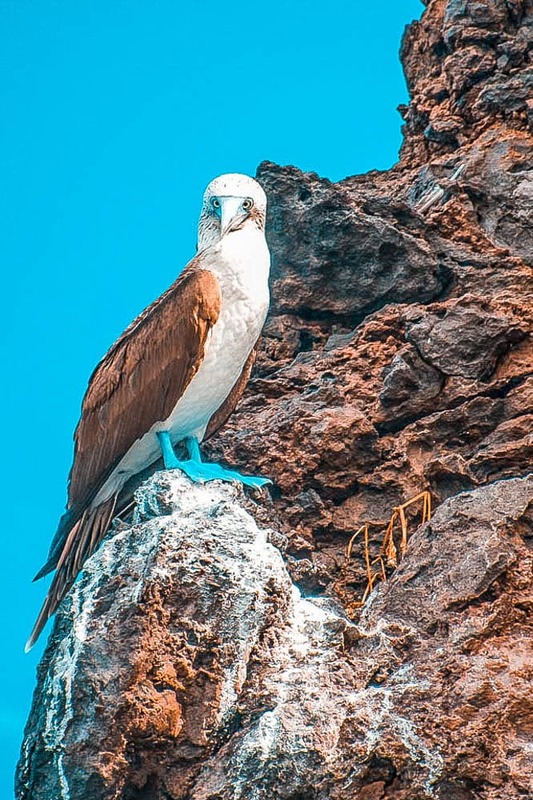 For instance, if you want to see the Galapagos Albatross, you’ll have to choose a route with a stop at Española Island, the only island in the Galapagos where the species are located. Metropolitan Touring has a fantastic chart that shows exactly where the Big 15 can be spotted. If you still want to experience some of the Galapagos by land, adding on a few nights before or after your Galapagos cruise is a good idea. The Finch Bay Hotel, which is also owned by Metropolitan Touring, is one of one of National Geographics’s Unique Lodges of the World. While I didn’t get a chance to stay at Finch Bay, I did spend a few nights at Mashpi Lodge in the cloud forest of Ecuador. This property is another distinguished National Geographic Unique Lodges of the World. 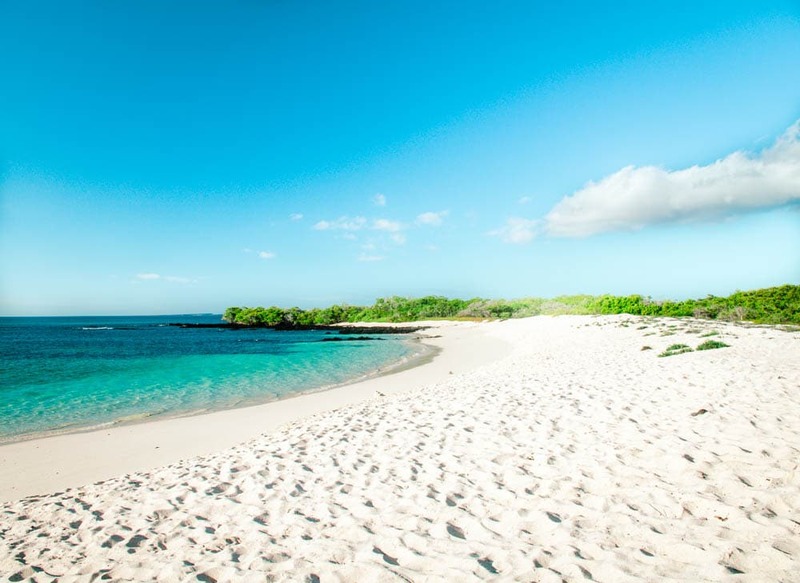 With this designation and my magical stay at Mashpi, I can only imagine how spectacular Finch Bay is — definitely consider it if you want to extend your stay in the Galapagos.